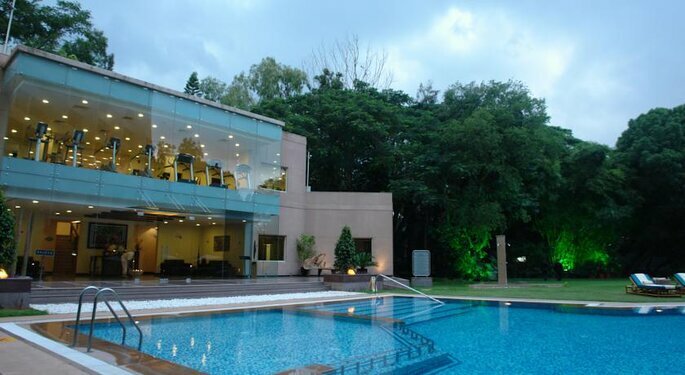 These are the top 8 wedding hotels with swimming pools in Bengaluru you should so for your wedding. Wedding… the Wedding is not about a day or two but it is more than that. The wedding is a bundle of emotions, love, care and feelings. You must be planning for this big day from last many days dresses, finalizing makeup, accessories, choreographer and the most important is Venue, have you finalized your venue? Are you getting married in Bengaluru? What’s not letting finalize your venue? Choose your wedding venue with swimming pool to make your wedding amazing! 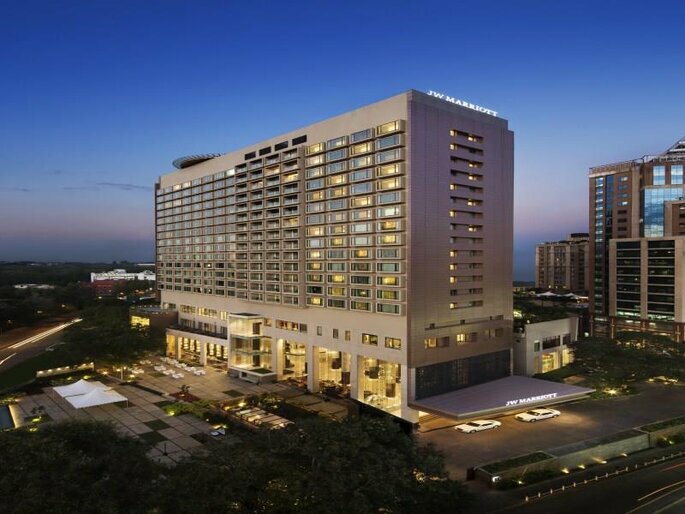 JW Marriott Hotel is establishing a striking presence in Bangalore’s city centre, the JW Marriott Hotel Bengaluru welcomes travellers to India in memorable fashion. 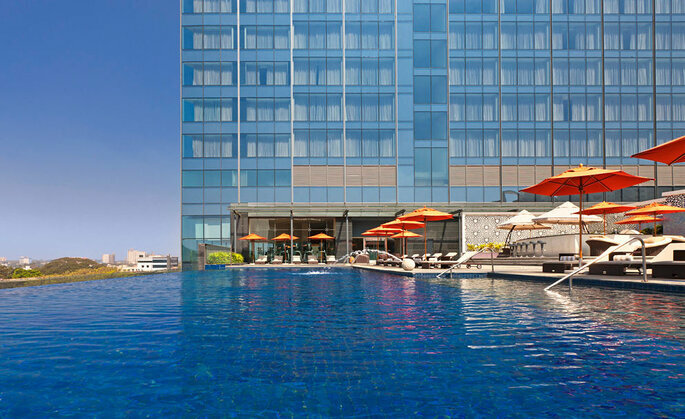 Located steps from the lush gardens of Cubbon Park and close to the UB City business district, The hotel offers a superb location from where you can explore Bengaluru. Moreover, with its signature Marriott services and unmatched amenities, the hotel truly embodies a five-star experience. Relax in spacious guest rooms and suites, which feature thoughtful details like private balconies and marble bathrooms. Take time to visit the outdoor pool, or indulge in a signature spa treatment at the JW Spa. Let everyone enjoy your spectacular wedding! 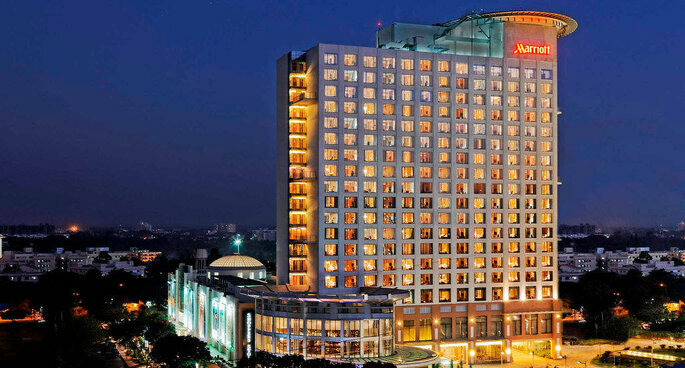 JW Marriott Hotel with nine event spaces, they are an ideal location weddings in Bangalore. 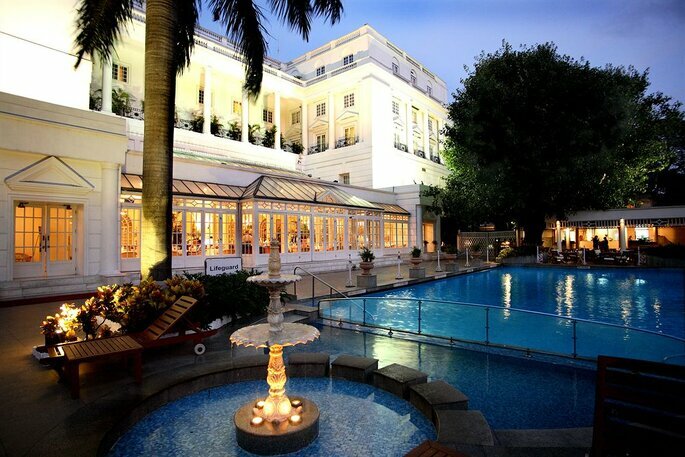 ITC Windsor, an iconic hotel with a distinguished address is situated in the heart of the state capital. 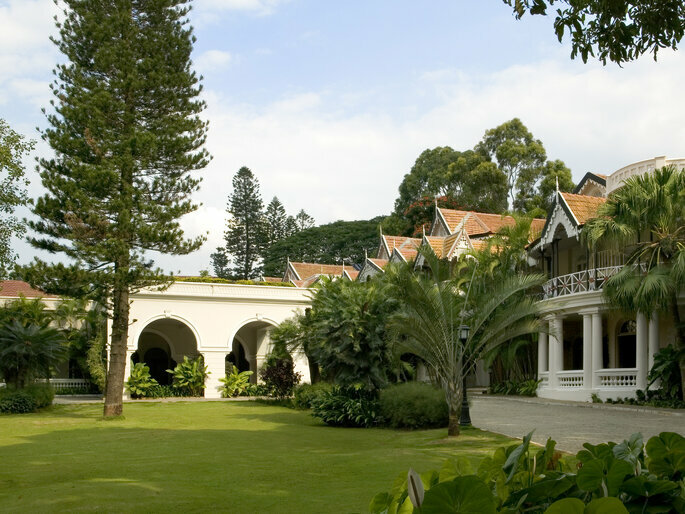 The hotel resembles the architecture style of the British Regency era set within an ambience reminiscent of a large English manor house. Last year in 2016, the hotel completed 33 years of landmark service, showcasing the true spirit of Indian hospitality to their guests who hail from all corners of the country and also the globe. The first glimpse of ITC Windsor never fails to impress its guests, the white façade of the hotel softened by the ancient rain tree quietly dominates its portico including the surrounding gardens and greenery. The old world charm of ITC Windsor makes everything in its hemisphere seem more gentle and genteel. 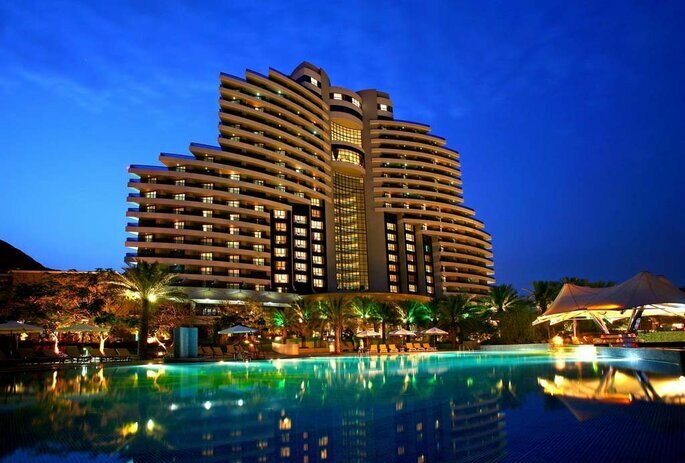 240 guest rooms including 12 Manor suites and 1 Presidential Suite each with a distinct interior, overlooking lush and verdant views comprise the luxurious accommodations of this elegant hotel. Spanning world-renowned landmarks, modern business hotels, idyllic beach resorts, authentic Rajput palaces and rustic safari lodges, each Taj hotel reinterprets the tradition of hospitality in a refreshingly modern way to create unique experiences and lifelong memories and wedding are one of them. Quintessentially Indian in its fabric, Taj Hotels Resorts and Palaces has recognized the world over for delivering a unique flavour of hospitality that offers world-class refinement while remaining deeply rooted in its local heritage. 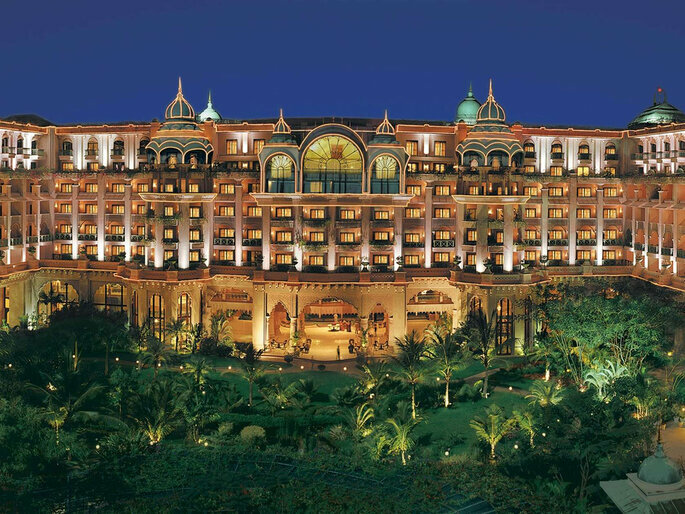 With over 100 hotels in 62 locations, Taj offers guests the refined luxury of heritage, the effortlessly efficient service and amenities and a local experience with the assurance of quality. Mixing contemporary culture with its European heritage, Le Méridien creates a culturally refined, meaningful and stimulating atmosphere which inspires participants to celebrate the beauty of a moment and the possibilities for insight that live within common occurrences. Your wedding is your dream and every one of us want their dreams to be perfect so make your dream wedding fabulous as you are and enjoy your all ceremonies with pool. 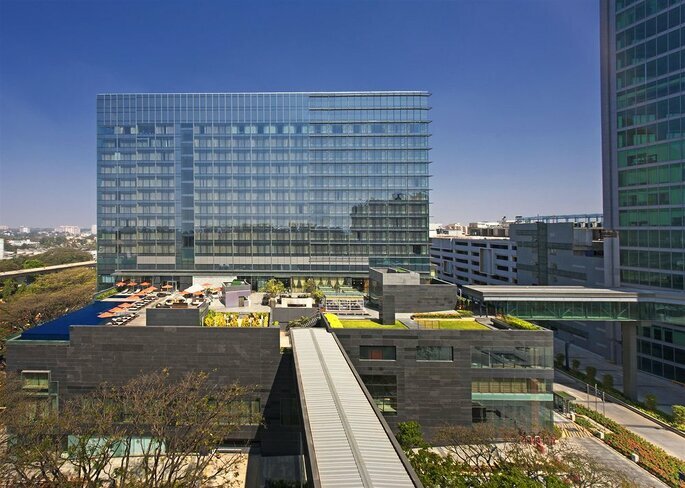 Vivanta by Taj delivers experiences with imagination, energy, and efficiency. Rated by Conde Nast Traveler 2014, as the 3rd best hotel brand globally and currently comprised of 28 hotels and resorts in India and the Indian Ocean region, Vivanta by Taj is represented across key metropolitan capitals as well as popular leisure destinations like Goa, Kerala, Rajasthan, Sri Lanka and the Maldives. 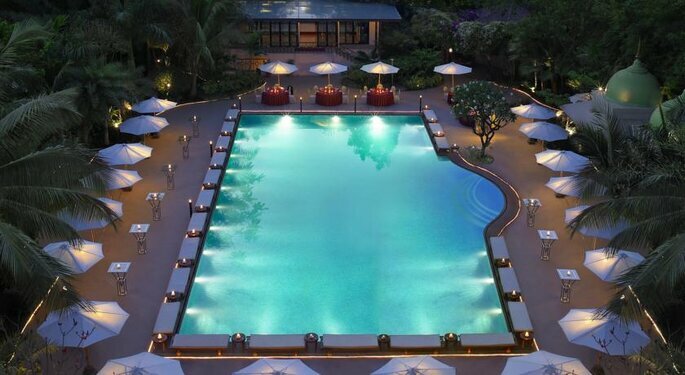 The best place to organize your wedding day Vivanta by Taj with exotic swimming pool! 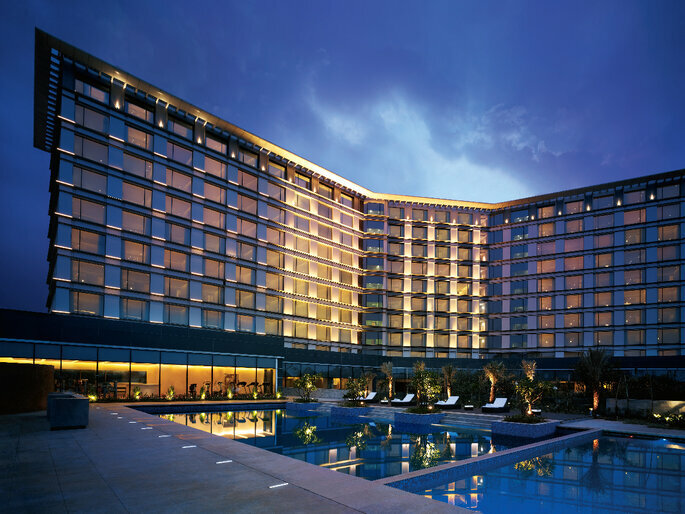 Vivanta by Taj offers an imaginative, vivacious and stylish take on ‘cool luxury’. With innovative cuisine, energetic spaces, unique motifs, distinct avatars, the smart use of technology and experiences that seek to constantly engage, invigorate and relax, it appeals to the cosmopolitan world-traveler immersed in a sensory lifestyle. 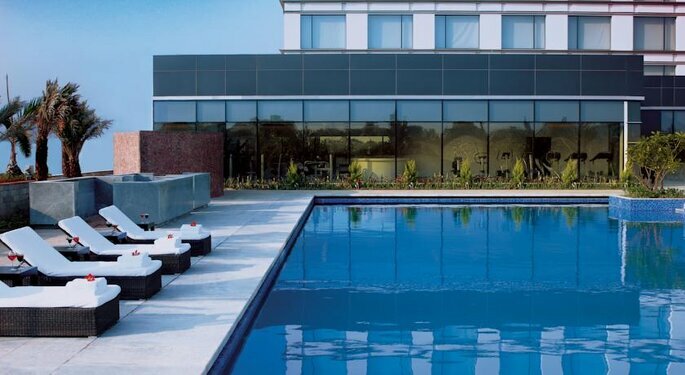 The Lalit Ashok Bangalore with its contemporary and elegant ambience is distinguished by the latest in business technology, trendy amenities, and impeccable hospitality. 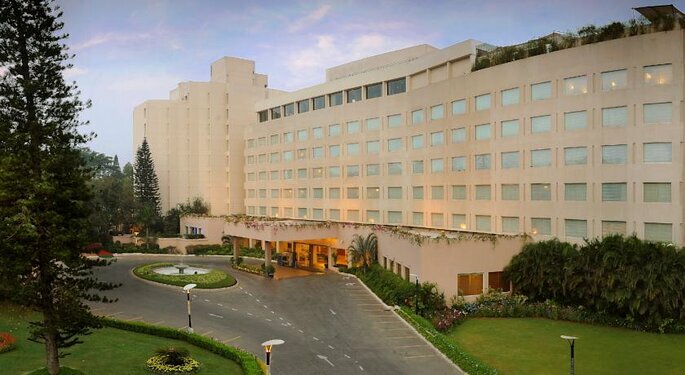 The first hotel in South India to be accredited by ISO 22000 standard, The Lalit Ashok Bangalore is strategically located in the highly secure diplomatic enclave of Bangalore and offers a sprawling view of the adjacent 18-hole golf course. The swimming pool where you can leave all your wedding stress and can focus towards your exciting wedding ceremonies! Enjoy your wedding at grand level with swimming pool fun! Planning an event in the city- perhaps a wedding or a conference? Or maybe just a small get-together- with family and friends. The Sheraton Grand Bangalore at Brigade Gateway offers over 21000 square feet of banqueting space capable of catering for up to a thousand people in a single hall and backed by the latest in technology that money can buy- Yes, size does matter, even in the corporate world. The banqueting team will proactively anticipate your needs to ensure a successful and memorable event. Your wedding your way so make it unforgettable and make your memories, those special moments give you the great collection of memories with a beautiful venue. Something you’ll have for your whole life.